In an era of outfitted home kitchens and food fascination, it's no wonder home cooks who never learned the fundamentals of the kitchen are intimidated. Twenty years ago, James Peterson could relate, and so he taught himself by cooking his way through professional kitchens and stacks of books, logging the lessons of his kitchen education one by one. 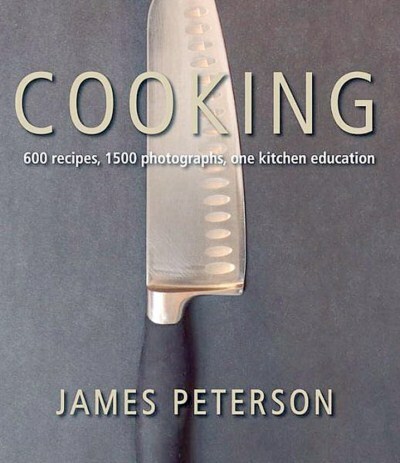 Now one of the country's most revered cooking teachers, Peterson provides the confidence-building instructions home cooks need to teach themselves to cook consistently with ease and success. COOKING is the only all-in-one instructional that details the techniques that cooks really need to master, teaches all the basic recipes, and includes hundreds of photos that illuminate and inspire.